Participation–as a concept and as a practice–ranges from the frustratingly vague to the strangely precise. It is a currency of legitimacy in the contemporary era as well as a problematization of the relationship between individuals and collectives stretching back hundreds of years. It’s been studied empirically in a surprising number of domains, often without much if any overlap. Our project is born from the latest wave of participatory enthusiasm–from Free Software and crowdsourcing to Occupy and the Arab spring–but it takes a grander view, and aims at a more ambitious understanding of the concept and its manifestations today and in the past. Part.lab currently investigates participation in two ways. 1) Birds of the Internet. The birds of the internet project started as a “bird guide” to forms of participation on the internet, social media and mobile technologies. Our research now includes a database of 102 case studies, a method of collectively evaluating and interpreting the case studies, and a set of experiments for exploring those evaluations using different techniques of clustering and visualization. The project wavers avowedly between qualitative and quantitative approaches. Our current questions include: What are the key and universal elements of participation, and how do they manifest themselves in concrete cases? 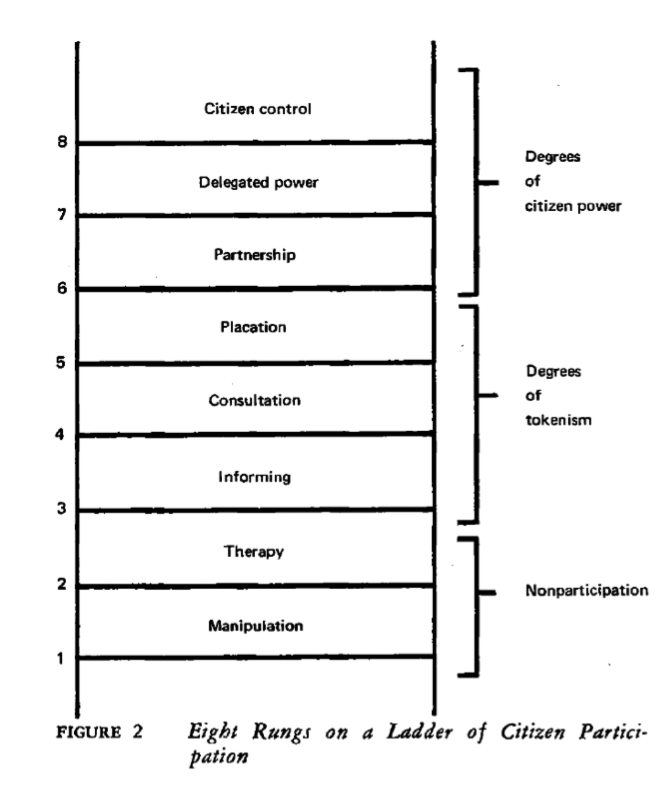 How is participation structured empirically today? What modes, styles or rationalities of participation appear today, and how do participatory projects move among these modes? How is participation related to innovation or discovery? Kelty, Christopher M. (2017d). “The Participatory Development Toolkit”. In: Limn Number 9: Little Development Devices/Humanitarian Goods. Ed. by Stephen Collier et al. Los Angeles: Limn. Kelty, Christopher (2016). “Participation”. In: Digital Keywords. Ed. by Benjamin Peters. Princeton, New Jersey: Princeton University Press, pp. 227–241. Kelty, Christopher, and Aaron Panofsky. 2014. “Disentangling Public Participation In Science and Biomedicine.” Genome medicine 6:8. http://genomemedicine.com/content/6/1/8 (Accessed April 29, 2014). Kelty, Christopher et al. 2014. “Seven dimensions of contemporary participation disentangled.” Journal of the Association for Information Science and Technology nd:n/a–n/a. http://doi.wiley.com/10.1002/asi.23202 (Accessed May 30, 2014). Kelty, Christopher M. 2013. “From Participation to Power.” Pp. 22–32 in Participatory Cultures Handbook, edited by Aaron Delwiche and Jennifer Henderson. London; New York: Routledge. Currie, Morgan, Luis Felipe R Murillo, and Christopher M Kelty. 2013. “Free software trajectories: From organized publics to formal social enterprises?” Journal of Peer Production 1(3). Fish, Adam, Luis Murillo, Lilly Nguyen, Aaron Panofsky, and Christopher Kelty. 2011. “Birds of the Internet: Towards a Field Guide to Participation and Governance.” Journal of Cultural Economy 4:157–187. (Accessed May 12, 2011). Panofsky, Aaron. 2010. “Generating sociability to drive science: Patient advocacy organizations and genetics research.” Social Studies of Science. http://sss.sagepub.com/content/early/2010/11/11/0306312710385852.abstract (Accessed December 10, 2010). In addition to querying participation as such, the birds project is also an investigation into the relationship between social science inquiry (qualitative and quantitative) and software development. “CASE”– the Comparative Anaysis and Study Environment is a software framework created by Seth Erickson in dialogue with the project, and intended to provide researchers with a novel tool for analyzing, evaluating, comparing and visualizing cases of a phenomenon. Participation has taken multiple forms and undergone innovation and critique in many different domains. The heteronyms project seeks to capture and understand as many of these different instances of participation: from worker participation and so-called “Industrial Democracy” to participatory democracy in the 1960s, to neoliberal forms of employee engagement in the 1990s to participatory culture in the 2000s. The number of “heteronyms” (a term borrowed and adapted from Fernando Pessoa’s heteronyms) is large, and can include some surprising variations– participation mystique in anthropology or Calvinist theories of participation in the trinity, for instance. The goal of this project is to think through participation as a problematization of the relationship of individual and collective, instantiated in different practical forms throughout history. It is primarily an historical and theoretical project, but it constantly informs our inquiry into contemporary participation as the latest problematization.